We Titled this image the confession. 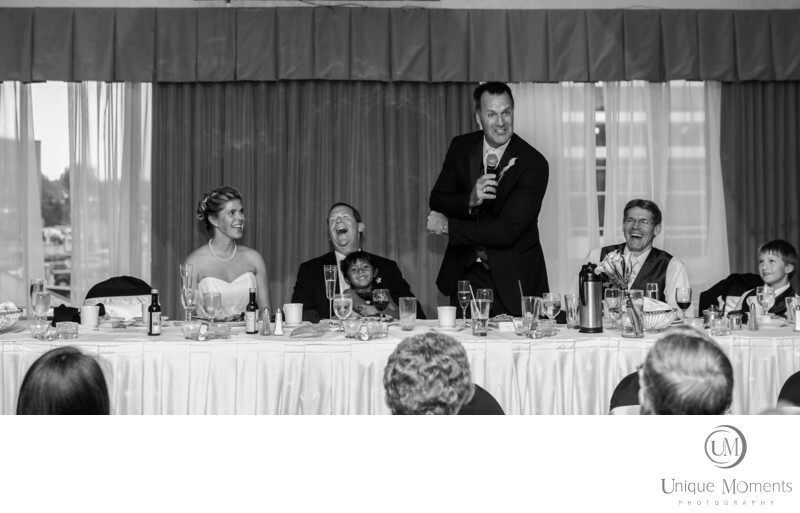 Unique Moments Photography From Gig harbor Washington Captured this image in 2012 and its still one of our favorite wedding reception speech images from the best man. This was priceless. He started off telling stories about things the groom and he did and how they got in hot water when they were little boys. And he looked right at the grooms parents and told them that he needed to get something off his chest thats been bothering him for 30 years. He then described something that they both did that got them in trouble, and looked at the parents and said " HE DID IT " just as we snapped the photo. The reactions were priceless. Every laughed like crazy. When we see it we still laugh. Fun Capture for sure. Yup, It was in the Album.